We are delighted to be teaming up with Brentwood Theatre, for a rather special event in the New Year and we’d like to tell you all about it. 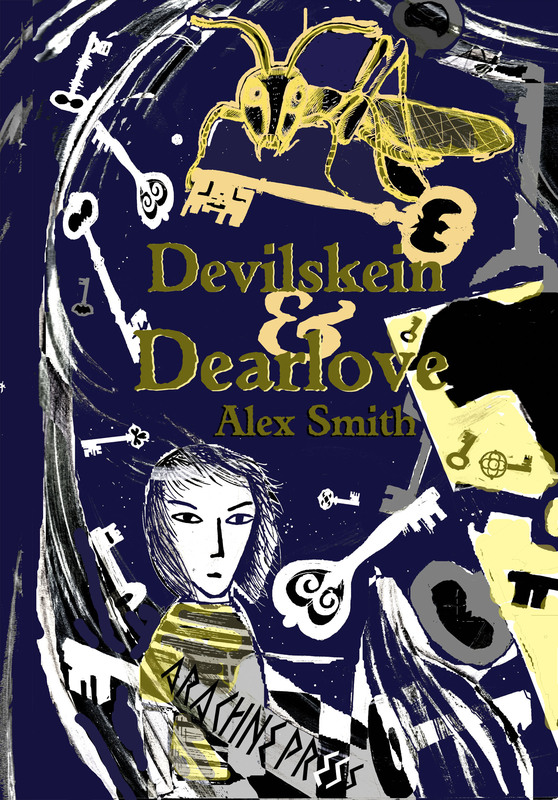 Alex Smith has been nominated for the prestigious Carnegie award for her debut YA novel, ‘Devilskein and Dearlove’. We have been approached by Alex’s editor, asking if we’d like to put on an event. We had a think and came up with a great idea. Alex lives in South Africa, so it’s a bit of a commute! However, Alex’s editor is very clever and has hired actors to deliver a ‘performance reading’ of extracts from the book. In addition, Alex will answer questions sent to her (@Devilskein or email http://arachnepress.com/2014/11/29/devilskein-dearlove-goes-on-tour/) and then create a video response for the audience. Cherry (the aforementioned editor) will take part in a live Q & A session about writing and all that comes with it. Signed copies of the book will be on sale at £8 (RRP £10.99) – please order and pay for these in advance, to ensure availability. Previous Post Light Up 2014!